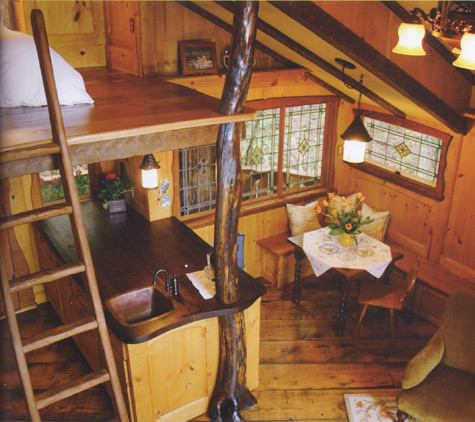 Tree houses are impractically romantic. There is no one book on how to make this recurring romance as practical as possible, but these two books by Peter Nelson contain the best suggestions and useful advice for building a real live-in tree house I’ve seen so far. 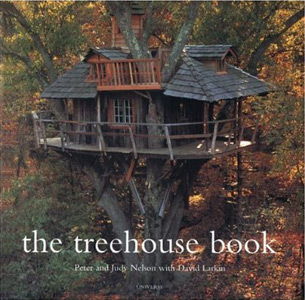 The Treehouse Book has lots of fabulous examples in the US and a few chapters on how-to. 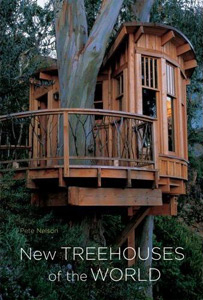 His follow-up book, New Treehouses of the World, gathers inspirational examples from Thailand, New Zealand and other spots with tree-house culture, and has a short chapter on new tree-house technology. 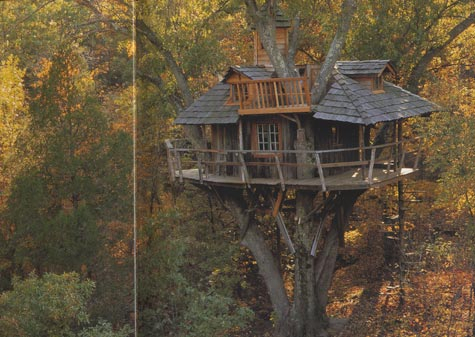 Main thing to remember when building a tree house is that trees move, over minutes and years. It’s closer to building a boat in the air. 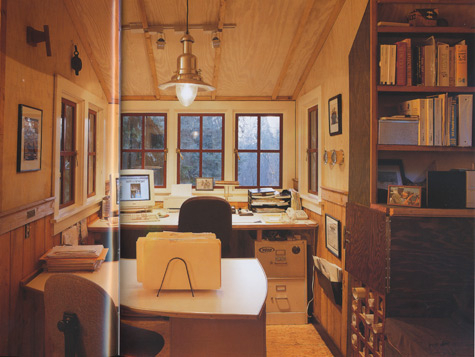 That’s why there’s plenty ideas in these books for any small house, even those not arboreal. 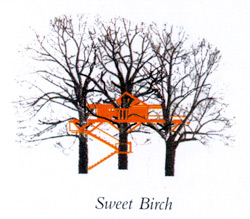 Sweet Birch — A strong tree with shiny, waterproof bark that used to be stripped off for wintergreen or birch beer. 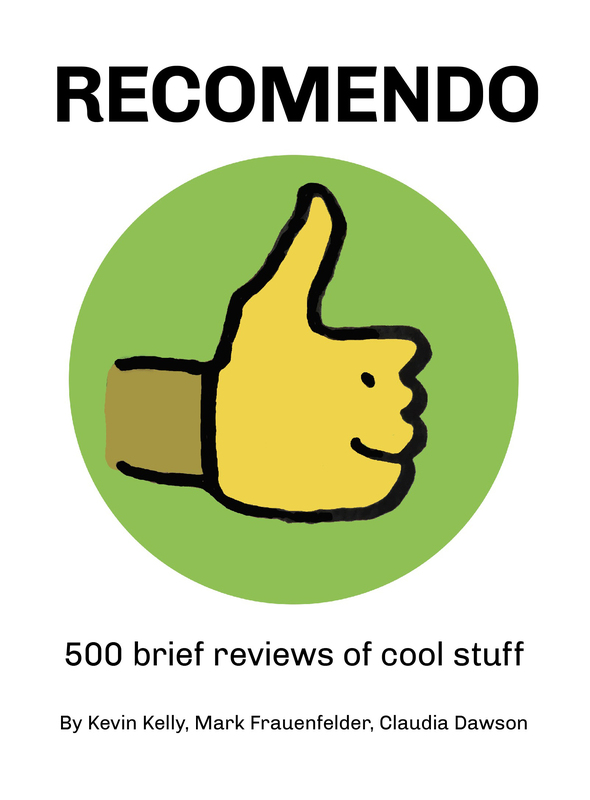 Use in a group. Trees in the northwest grow surprising quickly, so I prefer a GL (Garnier Limb) with a longer stem, the part of the GL that sticks out from the tree. 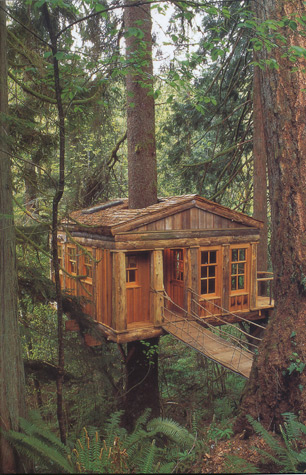 While trees grow taller only at their tips, they grow in girth all long their length. As a tree puts on rings it envelops the GL, making the artificial limb even stronger. 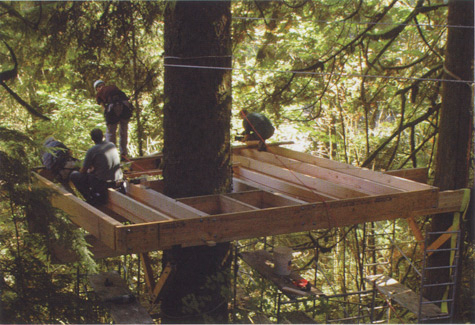 The tree will eventually push a beam out along the stem of the GL (the reason I prefer a longer stem) in much the same way the tree’s roots might lift a heavy concrete sidewalk. 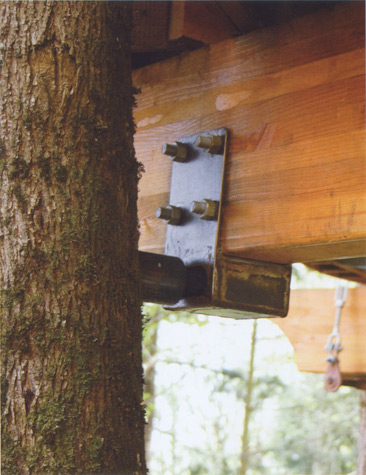 A “heavy limb,” also designed by Greewood, holds up a bucket-style bracket attached to a large glue-laminated beam. There are numerous styles of artificial limbs, or tree anchor bolts (TABs). An elegant platform takes shape around the old-growth Sitka spruce. Occasionally a tree will resist a building project, but this magnificent specimen remained calm and allowed us to proceed without protest.